A Clyde-built ship is to return home after years spent as a visitor attraction in Hawaii. 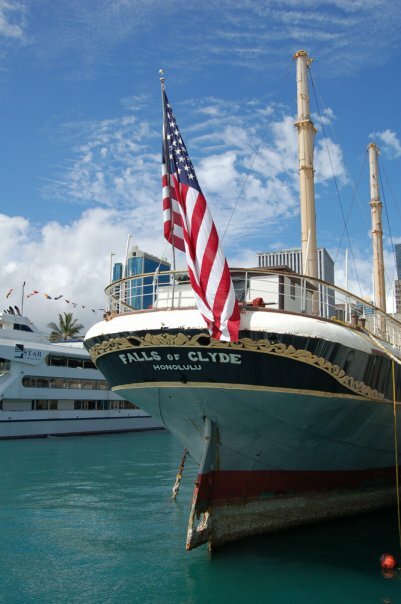 Built in 1878 in Port Glasgow, the Falls of Clyde is currently moored in Honolulu harbour. A group campaigning to bring her back to Scotland says it has agreed a deal with a Dutch company to collect the ship in February next year. The plan is to restore the Falls of Clyde and use her as an education and training vessel. It is hoped a mooring can be secured in Greenock near to where she was built. The Falls of Clyde transported sugar from Hawaii to America’s west coast during the early part of her life before being converted into a bulk oil tanker.